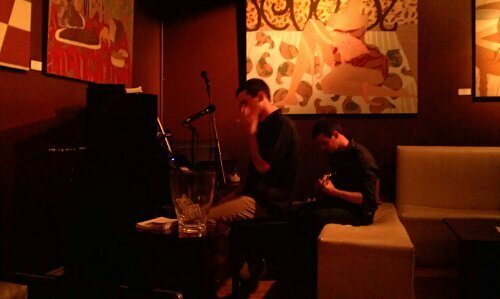 Pianist in Glendale- The Left Coast Wine Bar- Fridays! When I’m not playing at a party, wedding, event our other private function of a Friday over the past several years it has not been unusual to find me at The Left Coast Wine Bar. The room is at once cozy and classy with a very cool vibe. 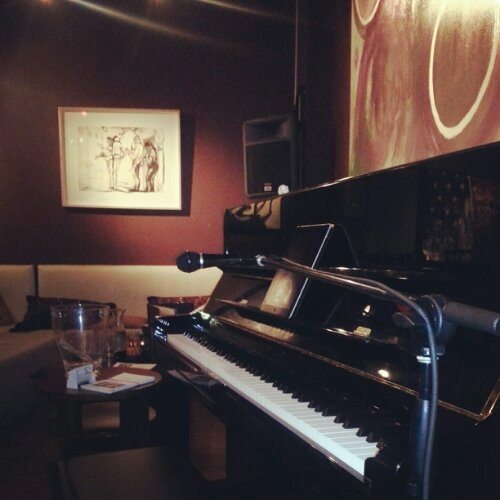 The piano is a Yamaha upright. They is a nice PA set up for vocals and I always have an extra Mic set up for special guests. I always set percussion around for anyone to get carried away. The music runs the gamut from Adele to jazz. I might play songs I’ve never even heard of someone has a special request and I can find it on my iPad. I almost always play Piano man!! And I always play “Levon” for Rochelle. You never know who’s going to show up. But you know… it’s always fun! !